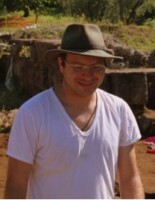 Raphael Eser studied archaeology at Ludwig-Maximilians-Universität München and Humboldt-Universität zu Berlin. While studying he supported the Excellence Cluster Topoi as a student assistant of the research project (A-5-4) Iron Mining and Smelting in the Tyrrhenian Sea. In 2015 this assistantship led to a longer collaboration for he joined this project as a doctoral fellow. Besides this, his doctorate is also embedded into the program Landscape Archaeology and Architecture (LAA) of the Berlin Graduate School of Ancient Studies. His doctorate deals with the impact of metallurgy on the cultural landscape of Elba and the mining slavery in the 1st millennium BC. Eisen, Landschaft und Mensch auf Elba im 1. Jt v. Chr. Elba um die Zeitenwende – Ende der Eisenverhüttung und des -bergbaus?